Cancel Invoice » DevIntelle Consulting Service Pvt Ltd.
Having a Problem in Cancel Invoice? In the Business, there may be some cases where you need to just cancel the Invoice, there are multiple reason for same. 3. If you want to refund the Customer what they actually paid. In all these case it’s compulsory to cancel the invoice so here with the use of Odoo App, you can do it with single step. 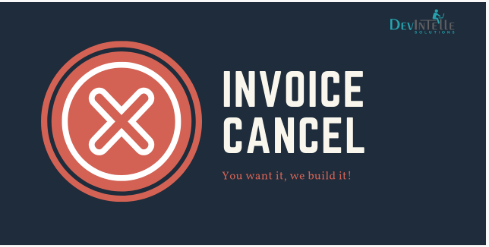 This Odoo App will help you to cancel Open & Partially Paid Invoice.